A wireless laptop will be needed for the Hands-On portion of your In-Depth Freight Broker Course. There is an advantage to having your own laptop with you during the entire course. However, if you don't have a wireless laptop, we will allow you to borrow one of ours to use during the Hands-On portion of the course. Yes, I will be bringing my own wireless laptop to class. No, I will need to borrow a laptop from the school to use during the Hands-On portion of the course. *Discounts must be claimed at the time of registration. Only one type of discount may be used. Proof of membership/service must be provided to the school within 48 hours of registration, otherwise course discount with will be removed. OOIDA members must provide their valid membership card. 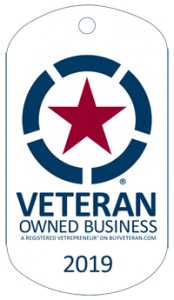 Military discount applies to all U.S. active duty/guard/reserve military members, retired military members, and honorable discharged military veterans. Proof of service must be provided with either valid military ID or a DD214. Dependents are not eligible for this discount. The "multiples" discount applies to two or more students who will be registering for and attending the same course together. Please select the discount you intend to use, or select the "Not Discount Eligible" option. OOIDA Discount Requires a Copy of current OOIDA Membership. Upload a copy of proof of your current OOIDA Membership. Military Discount Requires a Copy of DD214 or Military ID (Active Duty, Guard, Reserves, or Retired). Multiples Discount requires that 2 or more people register for and attend the same class together. Please enter the name(s) of the person(s) who will be registering for/attending this class with you. One full name per each line. To add an additional line, click/tap the plus sign. By checking the box below I affirm that I have read and understand the above tuition costs and discount options. I also understand that if I am eligible for a discount, I will provide proof of my membership, service, or multiple student registrations within 48 hours of this registration. Proof of membership/service/multiple students can be uploaded to this registration or emailed to admissions@freightmoversschool.com. By checking the box below I affirm that I have read and understand the above tuition costs and discount options. I also understand that if I am eligible for a discount, I will provide proof of my membership, service, or multiple student registrations within 48 hours of my registration. Proof of membership/service/multiple students can be emailed to admissions@freightmoversschool.com. Your total tuition cost includes a $500 registration fee. This registration fee is non-refundable. If you need to reschedule your course, your registration fee is transferrable to another course date for up to a year after your initial registration. Tuition will be refunded on a pro-rated basis. The following policy will apply to students who withdraw after the In-Depth Freight Broker or In-Classroom Combo class starts. By checking the box below I affirm that I have read and understand the above registration fee & Tuition Refund Policy information. Payment Options - Your total tuition cost is due in full prior to your class beginning. The $500 non-refundable registration fee is due at the time of registration. Your remaining balance, if paying by credit card, must be paid no later than 3 business days prior to your class start date. To make a partial payment towards your course, you can use this same online form, just be sure to select the "Making a Partial Payment...." option at the top of this form. With this registration form, you can choose to pay the registration fee only OR the registration fee PLUS your entire tuition balance due. To complete this registration, you'll need to select your payment option and payment method below and then process payment with either a credit card or PayPal account. Payment Options - Your total tuition cost is due in full prior to your class beginning. The $500 non-refundable registration fee is required in order to complete your registration. Your remaining balance, if paying by credit card, must be paid no later than 3 business days prior to your class start date. With this Partial Payment Form, you can make a payment in any amount of your choosing. * If you are making a payment towards the registration fee: If you haven't yet paid the full $500 registration fee, your registration is not complete and a class seat cannot be held for you until we've received the entire registration fee. You will receive an emailed copy of this submitted form including the proof of this payment for your records. Once the entire registration fee is received, an Admissions Counselor will send you a "Welcome" email confirming your seat in the class, as well as further details of your course and course location. ** If you are making a payment towards your remaining tuition balance: You will receive an emailed copy of this submitted form including the proof of this payment for your records. To process your payment, you'll need to enter the amount below, and select/complete your payment method. Registration Fee Only - I understand my tuition balance is Due In Full before my class begins.